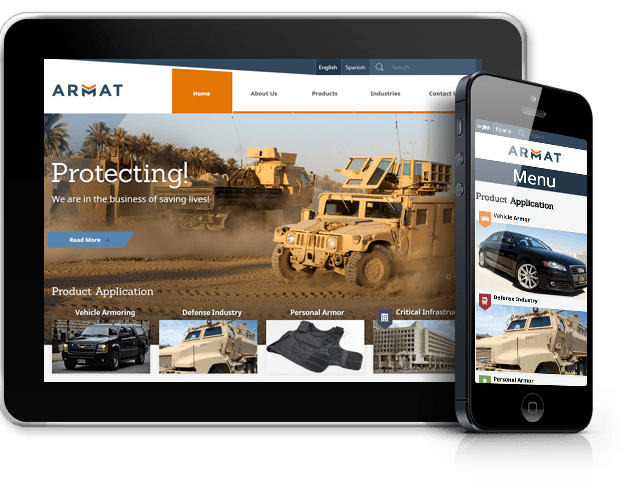 ARMAT – Armor Material, is a company that specializes in manufacturing advanced armoring products for personal, vehicles, infrastructure and the defense industry. Cultura Interactive was hired to create a new brand identity and a fresh website design for the company. Through extensive research and brainstorming, we discovered the proper elements and colors to be used in the development of the new logo. Following our logo design process and a couple set of mockups, we were able to deliver a refreshed identity that represents the company’s objectives and target market. 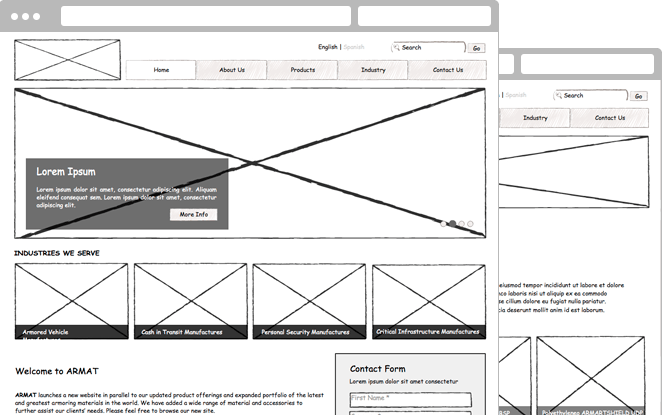 Having a solid framework is essential in the website design process. Planning behind the scenes allows us to organize the layout according to the way users will process the information on the website. As a result, we came up with a prototype that captured the company’s mission. 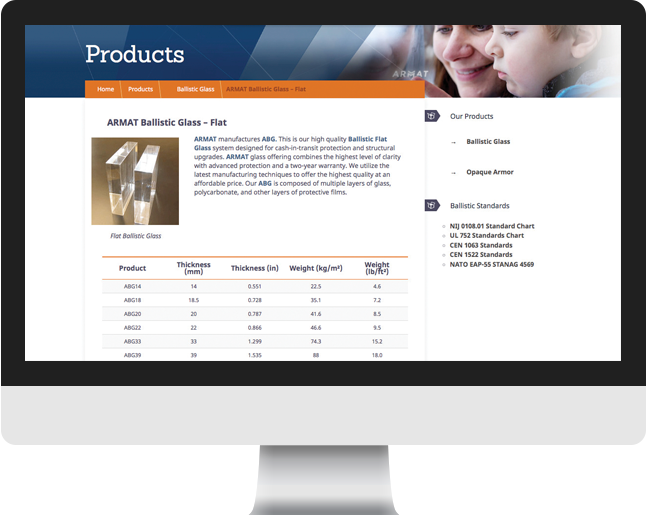 Their website was developed using a custom WordPress theme with personalized sections that can be easily managed to create and input more products and content. 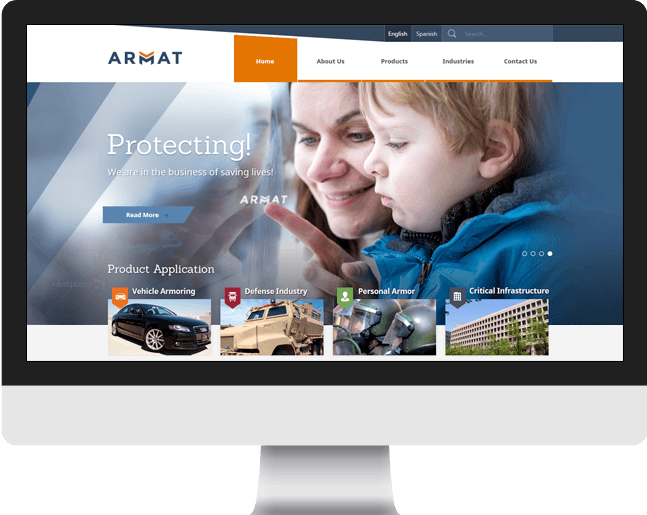 The new website design resulted in a clean user interface that emphasizes ARMAT’s exceptional quality and outstanding customer service. Making your website mobile ready is essential because users are able to navigate your website on even the smallest screens. 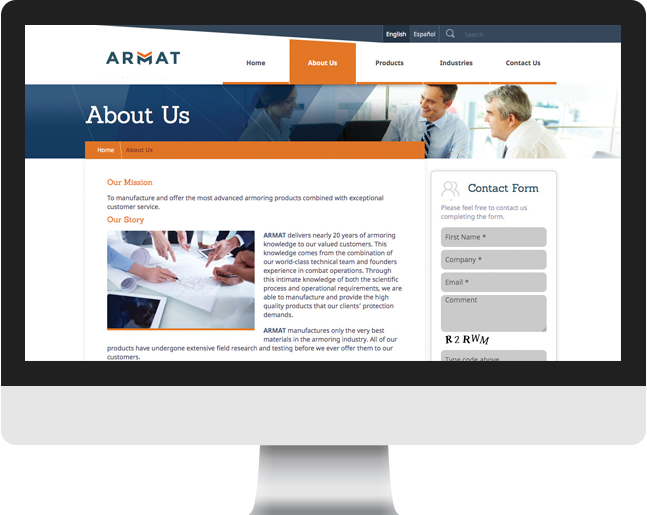 With responsive design methodology, we developed a mobile-friendly version of ARMAT’s website to ensure a seamless transition from desktop to mobile. 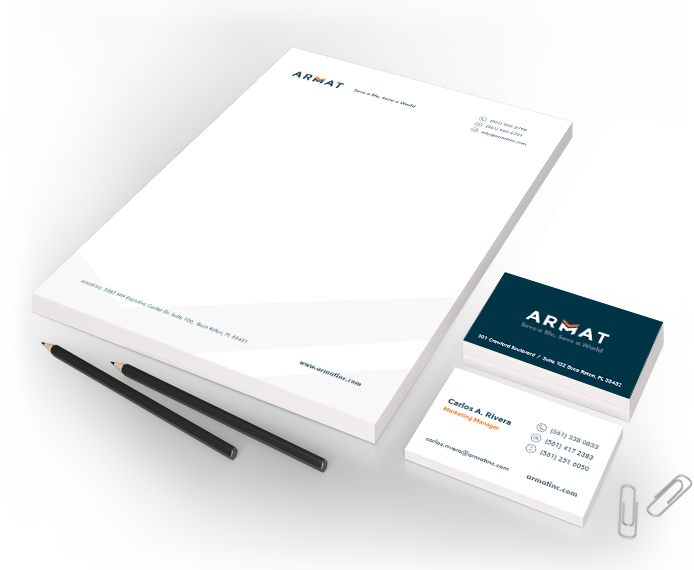 It’s proven that professionally designed print collateral not only builds brand reputation and awareness, but also attracts potential customers. 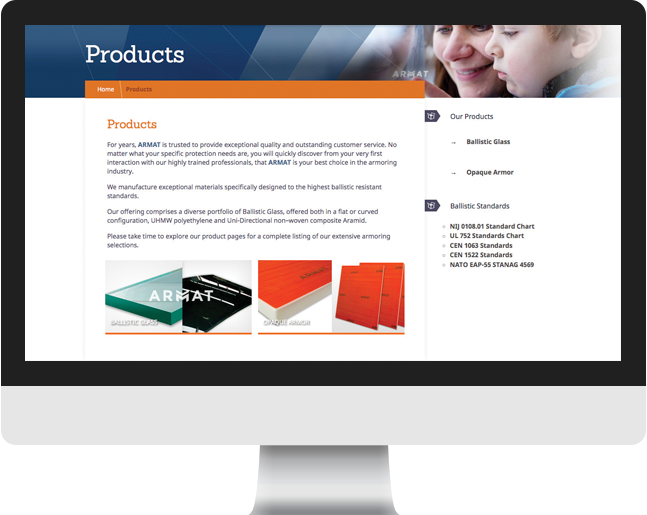 From business cards to letterheads, we created high quality collateral that reflects the company’s new identity online and offline.